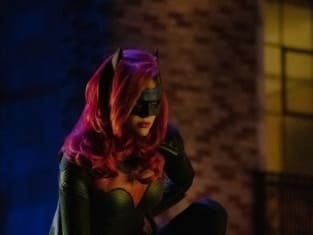 Batwoman: Kate Kane told you to get out of Gotham. You should have listened to her. Permalink: Kate Kane told you to get out of Gotham. You should have listened to her. Seems strange, doesn't it, that Bruce Wayne and Batman disappear from Gotham around the same time? Kara: Uh, what should we call you? Rain? Miss Parade? I would never compare myself to a total badass like Batman. Permalink: I would never compare myself to a total badass like Batman.